I sat down and played both of the latest episodes from Tales from the Borderlands and Game of Thrones the other night last night. Telltale keeps knocking it out of the park. As long as you're even semi-interested in the setting of the game Telltale will give you a story and characters that you care about. They'll also put some interesting and difficult decisions in front of you every time you play. After playing through a bunch of their games I'm starting to see the similarity and the formula behind them, but I'm still enjoying all the ones I'm playing right now. It honestly all depends on if you can buy in to the setting. Not to mention that Telltale is making a Minecraft Storymode game. It was on display at PAX but the line was always super long. I figured I was going to pick it up when it releases anyway, so I would save the surprise until then. Overall, I really like this new direction story driven games are taking. 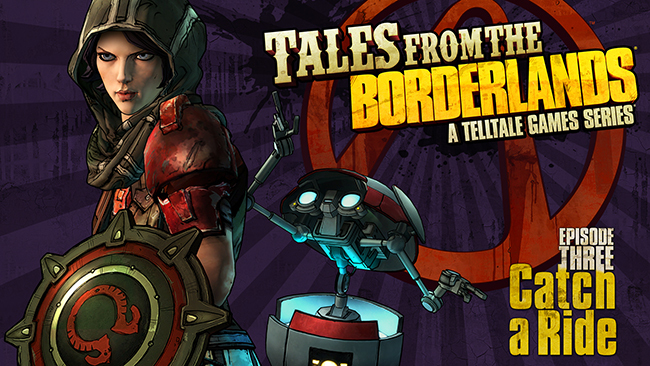 I have yet to try any Telltale games, but I hear nothing but great things about them. I suppose it's time to add one to my repertoire! Story-driven games are something I've found myself becoming more interested in, lately. They're really good. Check out the premise for each one and just pick the one that appeals the most.